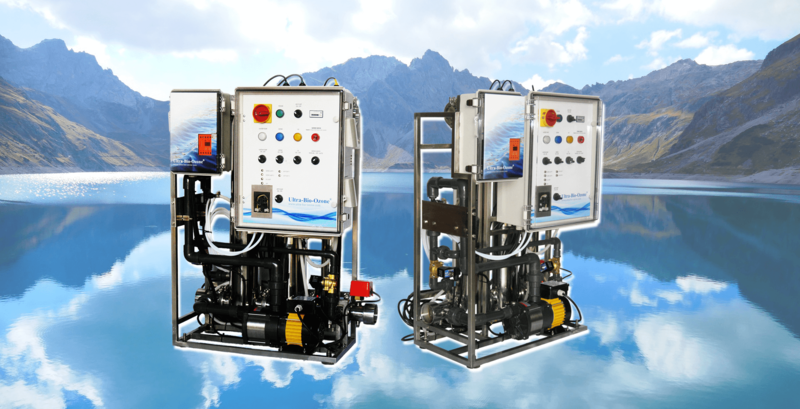 Two completely different processes which work together to provide thorough, very high-quality disinfection and biological water sterilization / without using chlorine or chemicals. Ultra-Bio-Ozone® is equipped with an ozonation device, which destroys the ozone before it leaves the system. Ultra-Bio-Ozone® 100% organic Yes, it’s possible !!! Thanks to its patented injection system, no chemicals are needed for the treatment of pool and spa water. Potabilization of water: Rain, wells, drilling, complementary sterilization of drinking water from the public network, etc. Houses with small and medium flows. Small hotel complexes and vacation structures. Agriculture, dairies, cheese factories, restaurants, etc. 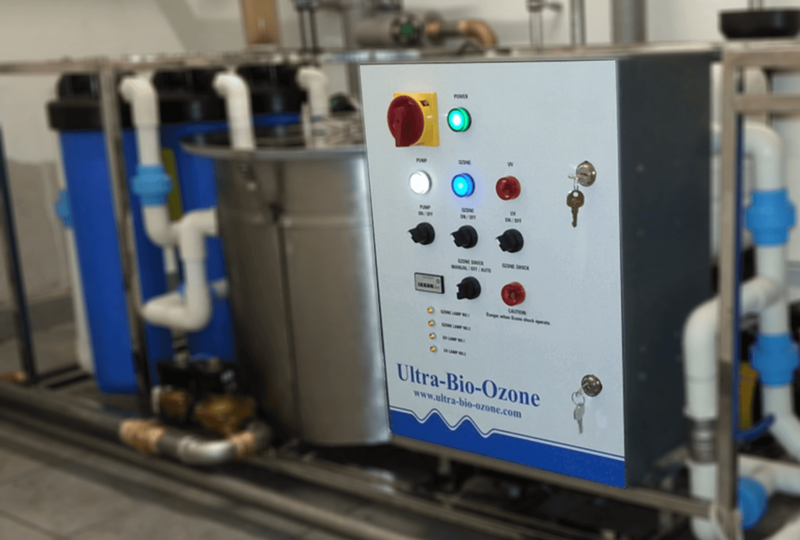 The Ultra-Bio-Ozone system is much more effective than the only UVc sterilizer treatment for certain microorganisms, especially for algae cells, Cryptosporidium and Giardia. Combining ozone and UVc treatment therefore makes it possible to treat a wider spectrum of microorganisms. Ozone will reduce the concentration of organic matter in water, especially ammonia. Bacteria and viruses inactivated by UVc & nbsp; will also be partly oxidized by ozone, which will reduce the amount of nutrients in the water for other microorganisms. Our thinking has been to propose for a reasonable budget a system that is a reference of efficiency and quality for many decades in the treatment of drinking water for many cities and industries around the world, but inaccessible for the budget of individuals and small structures, because technically and materially heavy and expensive. Swimming pool / spa disinfection capacity 15,000 liters / hour. Swimming pool / spa disinfection capacity 25,000 liters / hour. Ecological, economical, effective for both individuals and professionals. The easy to install ‘U-B-O’ system comes assembled ” Ready to install ”.